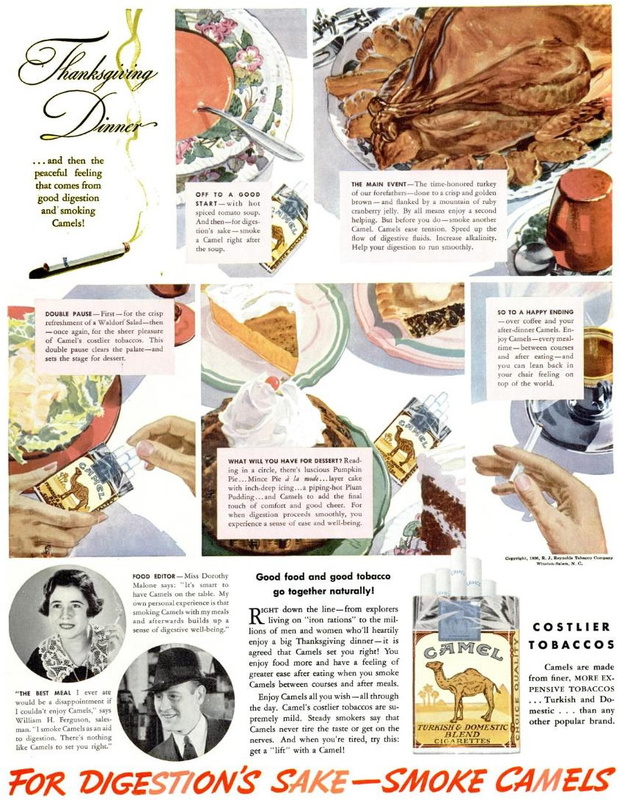 This ad for Camel cigarettes from the November 23, 1936 issue of Life Magazine takes a Thanksgiving theme, advising that "You enjoy food more and have a feeling of greater ease after eating when you smoke Camels between courses and after meals." 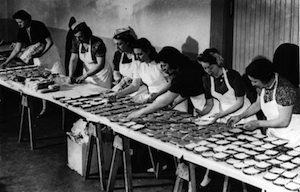 They quote Miss Dorothy Malone, a "food editor," who says "It's smart to have Camels on the table. My own personal experience is that smoking Camels with my meals and afterwards builds up a sense of well-being." They even suggest to take a smoke break before you dig in for a second helping of turkey. So, why did I get such weird looks when I lit up at the table? I recommend twisting up a fatty before desert. Also after desert. It makes you feel ALIVE WITH PLEASURE!